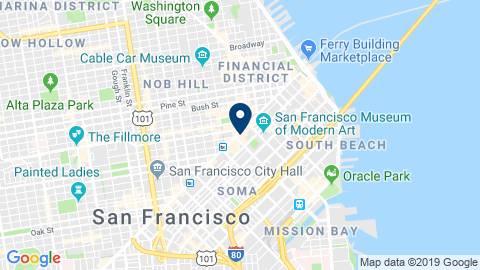 This website is to provide you with information on the French American Chamber of Commerce, San Francisco (the Chamber) and our services. If you decide to request more information, you may send us an email or fill out a form where we require you to submit some personal information. You may also provide us with personal information while registering for attendance to an event or while attending an event or otherwise interacting with the representatives of the Chamber. You may submit information that includes your first name, last name, professional title, company that you represent, e-mail address, mailing address, telephone number, and field of industry of your company. How do we use the information that you submit to us? For internal purposes, we use this information to communicate with our members and persons generally interested in our services, provide requested services, and to assist our representatives in identifying and offering new products and services which may be of interest to you. We may use your personal data in anonymous and aggregate form for analytical and marketing purposes. We may share your personal information with the Chamber's members for the promotion of certain products and services offered by such members that we think may be of interest to you. We may occasionally, and on a case by case basis, provide your contact information to our members or other contacts if we think this may create a business opportunity for you. We may provide targeted lists of names and offline and online contact information to selected organizations who have common goals with the Chamber, for the promotion of certain events and services offered by such organizations that we think may be of interest to you. Such organizations may include other chambers of commerce, other international trade organizations and other French cultural or business associations. Information you submit in connection with events or services sponsored by third parties, may be shared with the sponsor of the particular event or service. We share the information you submit to us with our vendors and service providers which agree to use the information only for the purpose of providing services to us and to keep it confidential. Personal information of our members (such as name, business address, company affiliation, telephone, email address) may be published in our member directory, which may by publicly available online and in print. We may also share aggregate information, which is not personally identifiable, with others, for analytical purposes. This information may include usage and demographic data, but it will not include personal information. A cookie is a piece of data stored on the user's computer tied to information about the user. Usage of a cookie is in no way linked to any personally identifiable information while on our site. We may use session ID cookies and persistent cookies to enhance our service to you. For the session ID cookie, once you close your browser, the cookie simply terminates. A persistent cookie is a small text file stored on your hard drive for an extended period of time. Persistent cookies can be removed by following Internet browser help file directions. If you reject the cookie, you may still use our site. Persistent cookies enable us to track and target the interests of our visitors to enhance the experience on our site. Your information provided to us via our website is protected in the same way that all sensitive information of the Chamber is protected. The Chamber uses security procedures and practices including the use of firewalls to protect the data it stores on its servers. The servers on which we store personally identifiable information are kept in a secure environment. In addition, only employees who need the information to perform a specific job are granted access to personally identifiable information. This site may contain links to other sites that are not under the Chamber's control. These websites have their own policies regarding privacy. The Chamber is not responsible for the privacy practices or the content of other websites. If our privacy practices change, we will make changes to this policy accordingly and post such changes on this page. We recommend you check this policy frequently to keep abreast of any changes.